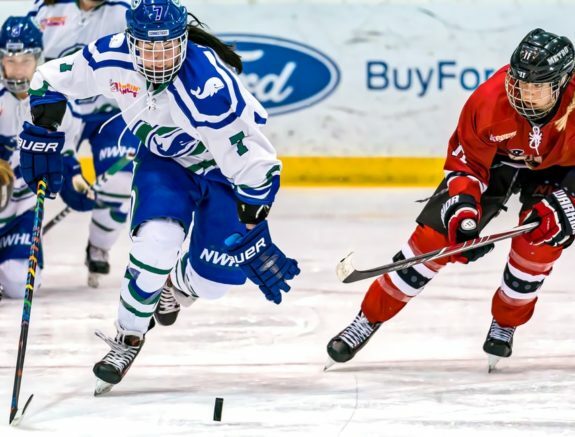 On July 6 the Connecticut Whale made their first splash in free agency when they announced that defender Rachael Ade and forward Emily Fluke re-signed for the upcoming season, which will be both player’s second as pros. Both Ade and Fluke were bright spots in a season that saw the Whale win only three of 16 games during the regular season. 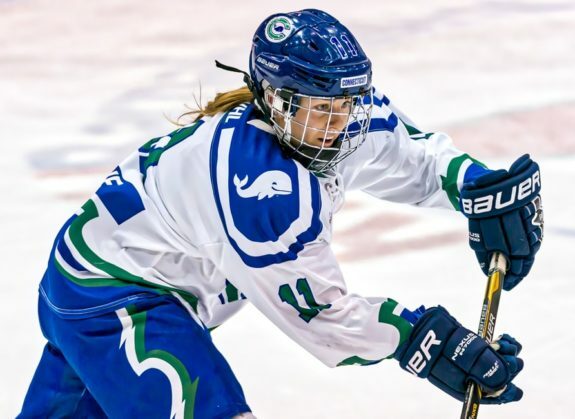 “I’m absolutely thrilled to be playing in the NWHL and for the Connecticut Whale again,” Fluke, who led the team with 11 points (4g-7a), said in a press release through the league. “I am so grateful for the opportunity I had to play last season and knew as soon as it ended that I wanted to play another season.” Over her collegiate career at Middlebury College, she racked up 115 points (54g-61a) in 109 games. Ade will be on the hunt for her first pro goal this upcoming season after registering two assists in 16 games as a rookie, but perhaps her biggest impact last season was off the ice. The 23-year-old received the NWHL Foundation Award (which goes to players that most actively apply the core values of hockey to her community) following the season, and Ade was tenth among all NWHL players in apparel sales.